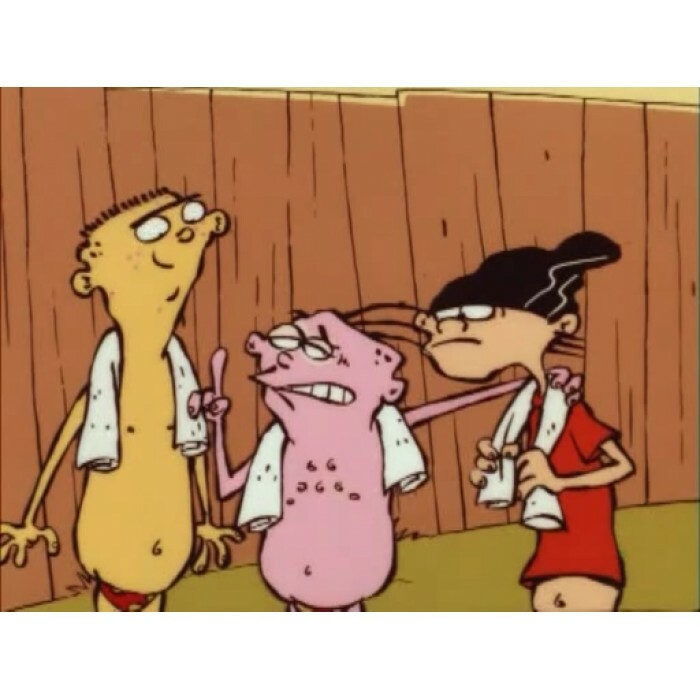 Ed, Edd n Eddy is an animated TV series created by Danny Antonucci and produced by Cartoon Network. 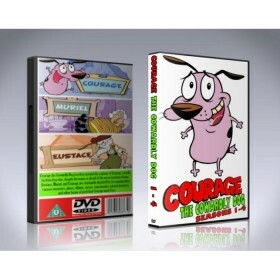 The series, which was Cartoon Network's sixth 'Cartoon Cartoon', was first aired in 1999. 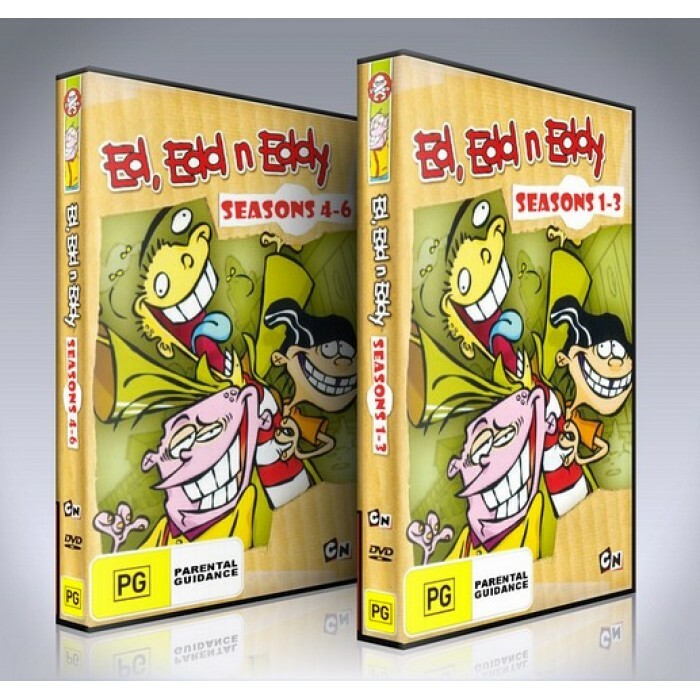 It is currently the longest-running original cartoon on Cartoon Network and now, it's finally available to own on a DVD Set containing every episode. 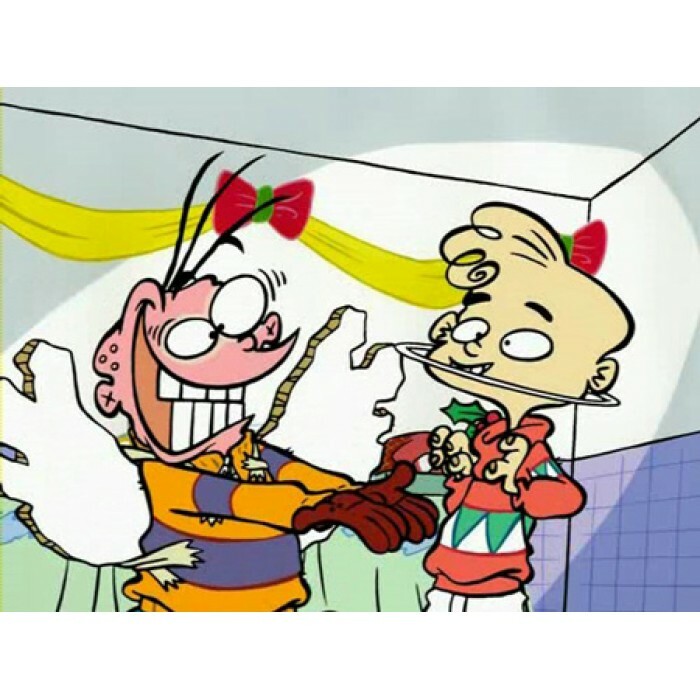 The show is about 3 boys with the same name, commonly referred to as "The Eds". Their goal is to continuously scam everyone else in the cul-de-sac for money to buy jawbreakers. Most of them don't work, and; therefore, no money for the jawbreakers. But they all share their loses and gains. There are 13 characters in all; 3 Eds, 3 Kankers, 6 kids, and the other is Plank. There are no adults in Ed, Edd n Eddy; although with the exception of pets; Rolf's animals and Double D's ants. Ed is the biggest, and dumbest of the group. He's obsessed with B-movies and he loves Rolf's chickens. Edd is referred to as 'Double D'; to help separate him from Ed. He's the brains of everything, and tries to make everything try to work out in a safe way (he's a "perfectionist"). Eddy is the self-appointed leader of the Eds. He comes up with most of the scam ideas, and persistently scams and pull pranks on everyone. Put these 3 together, and you have the most mischievous kids in Peach Creek. This limited edition DVD Set contains every episode of the show ever made, spread across 10 discs in total.